Electrician Job Description: Is This Career For You? Reading an electrician job description is the first step in deciding whether to become an electrician. Once you understand exactly what an electrician is expected to do, you will be able to decide if this is the right career choice for you. Electricity is a very important part of our lives. We have become so dependent upon electricity that we would be hard-pressed to live without it, even for a day. That is why electricians are in such high demand. We need people to keep our electricity flowing. Keeping the power on is a big part of being an electrician. When power lines go down due to bad weather or an accident, the electricians are the people who have to go out there and fix the problem. Many times they have to go out in all types of weather. They do not always have the luxury of waiting for a storm to clear up before going out to restore power. This is especially crucial near hospitals, or elderly care homes. Most hospitals have backup generators, but they are designed for short-term, emergency power. Electricians have to get out and restore full power as soon as possible. Electricians often install wiring, connect the wires to outlets and switches, test for connectivity, and maintain a variety of electrical systems. These include, but are not limited to, climate control, security systems, and communications. Most electricians will specialize in either maintenance or construction. However, a growing number now choose to do both. and any other buildings where electricity is needed. The blueprints tell the electrician how the wiring is to be installed, where to lead the lines and where to put the outlets. Every place where a light fixture, switch, outlet or piece of equipment is to be installed, has to be taken into consideration. That is what makes blueprints so important. The electricity has to be available where the building owner needs electrical power. Some areas may need a 240 volt outlet, like for a stove or a clothes dryer. Other areas just need the regular 120 volt outlet. Industrial buildings have all sorts of different needs, depending on the type of equipment used. These could include transformers and several fuse boxes. In factories and commercial buildings, conduit is put in place inside partitions, interior and exterior walls, or other concealed areas first. Small boxes made of metal or plastic (typically called a lighting panel) are fastened to the walls. These boxes will house the electrical outlets and switches. The wire is then pulled through the conduit and connected to the boxes to complete the circuit. In lighter electrical uses, like residential buildings, plastic-covered wire is used. The most common type used is RW90/XPLE Unshielded Control and Unshielded Power Cable, rather than heavy-duty conduit. The electrician is then required to connect the wires to circuit breakers, transformers and other components. The wires are joined together within the boxes using terminals, connectors, marrettes and lugs. Once the wiring is complete, each circuit must be tested. 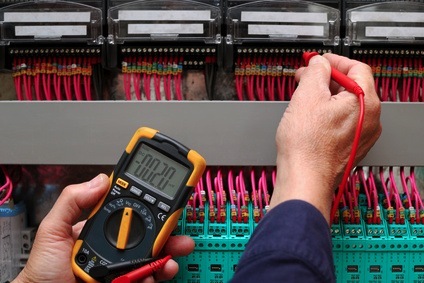 The electrician uses ohmmeters, oscilloscopes or voltmeters to test the proper connections of the circuits, to ensure electrical compatibility, and to check for the safety of the components. In addition to the general wiring needed for lights and appliances, electricians may also be required to install special wires, such as coaxial or fiber optics cable, for telecommunications equipment and high speed internet. Electricians are trained to install telephone systems, street lights, fire alarms, security systems, computer wiring and various related equipment. Many also install electronic controls and connect motors to a power source. The type of maintenance work in an electrician job description can vary greatly depending on where he is employed. Residential workers may be required to rewire a house and replace an outdated fuse box. 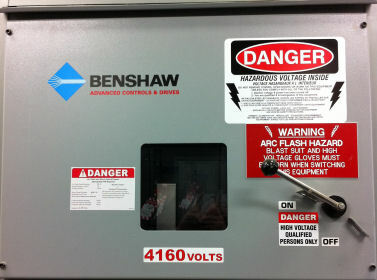 This may include a new circuit breaker, or installing additional fuses to accommodate additional electrical needs. Electricians working in large industrial companies might have to repair transformers, electronic controls, generators and industrial robots. In an office building, they may be required to repair various types of electronic equipment. Much of a maintenance electrician’s time is spent performing preventive maintenance. He must periodically check equipment to locate and repair problems to prevent breakdowns. Electricians advise management when equipment may become hazardous to use and if necessary, install new equipment. In the event of a breakdown, electricians must repair the equipment as quickly as possible to minimize the loss of production. 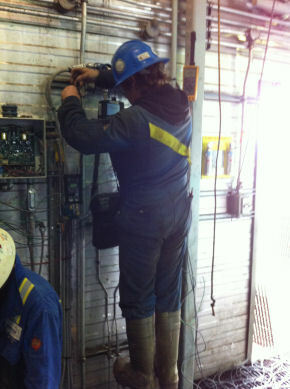 Sometimes in the oil patch we get maintenance calls to drive an hour and half across the countryside to change out a fuse, or reconnect a loose wire in a PLC. Sometimes a lot of troubleshooting is involved. An electrician job description would not be complete without mentioning some of the hazardous working conditions. The work is often very strenuous. Many times an electrician must stand for hours at a time. He has to work on ladders, scaffolding, or in an aerial basket. Working environments vary. Some electricians have to work in hot, dirty or wet conditions. Some work in confined spaces, ditches, or some other extremely uncomfortable places. Constantly exposed to dangerous environments, an electrician might suffer from electrical shock, fall off a ladder, or sustain cuts and burns. To prevent injury, an electrician must practice strict safety procedures. See our electrical safety tips page for more information. It is not unusual for an electrician to have to travel great distances to a job site. Although the standard workday is eight hours, overtime is common. Many times you cannot just lay down your tools and go home, especially in the middle of a crucial repair. You may have to stay until the equipment is in good working order. The next shift cannot just walk in and take over where you left off. At the very least, you will have to stay to explain what you have already done, and what you expect that needs to be done to complete the repairs. There are many variables in an electrician job description. It all depends on where you work. Electrician Wages - What kind of wages can you expect to earn, as an apprentice, or as a Journeyman or Master certified electrician? Electrician Salary - How much can you expect to earn in electrician jobs? Electrical Apprenticeships - The best electrician jobs are highly rewarding, but can be dangerous. Journeyman Electrician - Job description and other information on Journeyman Electrician jobs for.